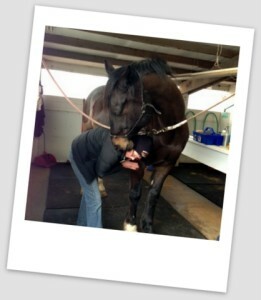 Sue is an Equine Natural Movement Practitioner in Seattle, WA. Sue has a lifelong love for all animals, especially horses. Her first pony ride at age five ended rather abruptly when her pony made a galloping beeline for the barn and Sue went bottom down on the trail. After that she was hooked. She spent years cleaning stalls and grooming in exchange for any opportunity to ride. 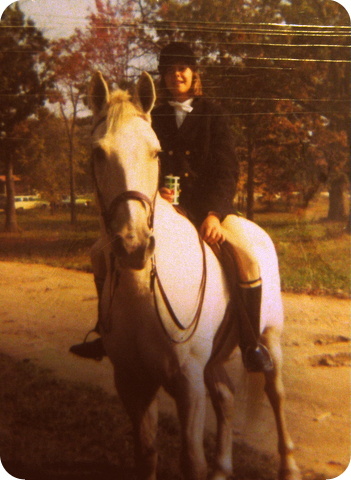 Sue also worked many summers as an assistant therapeutic riding instructor at Camp Horizons, Inc. in Windham, CT. She desperately wanted an equine based career and researched farrier and equine massage schools but all were deemed “unpractical”, so her professional career took another path. Despite many detours, she always kept her equine heart connection. Sue began volunteering at Little Bit Therapeutic Riding Center, Redmond, WA several years ago and her work with the Little Bit herd and riders rekindled her passion to pursue her equine career dreams. She enrolled at Equine Natural Movement School where she learned Equine Structural Integration and became a certified practitioner. She is also fulfilling requirements toward the Large Animal Massage Practitioner (LAMP) certification at Northwest School of Animal Massage. She donates her Structural Integration services to local equine rescue organizations to help prepare horses for finding their forever homes. Sue also continues to volunteer at the Little Bit Therapeutic Riding center and is part of their volunteer training team.